TAG Rapid Purge System. Sizes: 8" to 80" (190mm to 2044mm). Heat resistance - up to 250 degrees. Sizes: 8" to 80" (190mm to 2044mm). Heat resistance - up to 250 degrees. 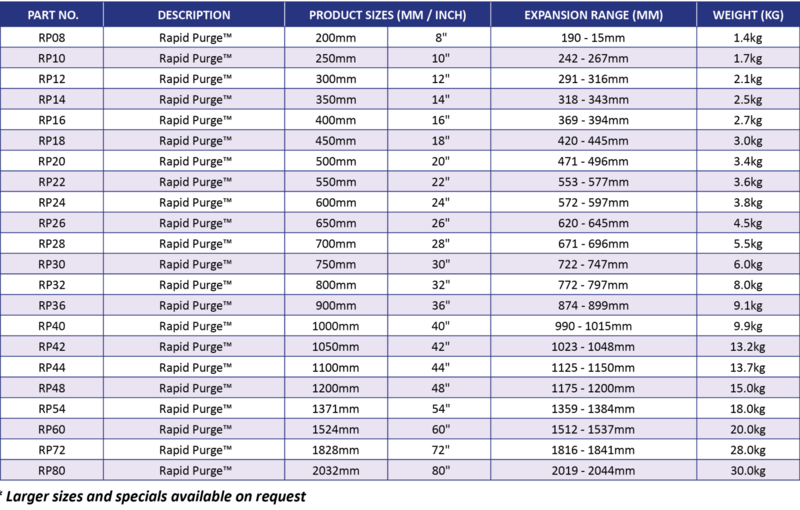 Purge larger diameter pipes faster than ever! Used for stainless, duplex, chrome steels, titanium, nickel and other alloy materials, the TAG Pipe Purge Bag System™ systems enable high speed welding of larger diameter pipe joints that have to be purged. Designed to enable the user to produce high quality, reliable and repeatable welding of stainless steel tube and pipe joints to ensure a very fast weld purge time and a very high quality weld root, free from oxidation and discolouration. A 36" diameter pipe will purge to below 0.1% oxygen in less than 10 minutes and all smaller pipes correspondingly faster. Dramatic savings of time, gas and money can be made by using these systems. Due to the quality of the materials used, the Rapid Purge™ systems can be used over and over again urther reducing manufacturing costs. 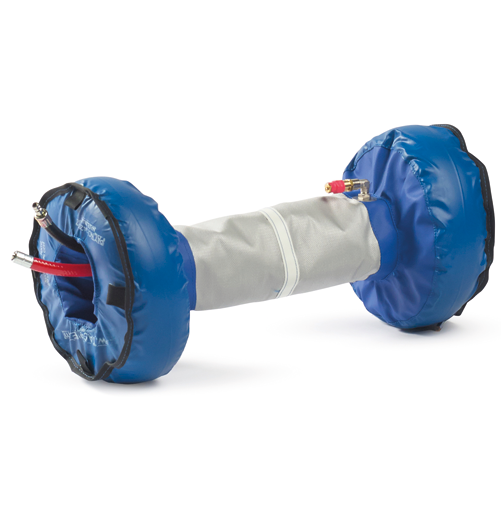 As with all of the TAG Pipe Purge Bag System inflatable purging systems, the Rapid Purge™ come with pre-set valves, so are ready to use ‘straight out of the box’. Rapid Purge™ has been developed specifically to enable high speed purging for any pipe welding application.